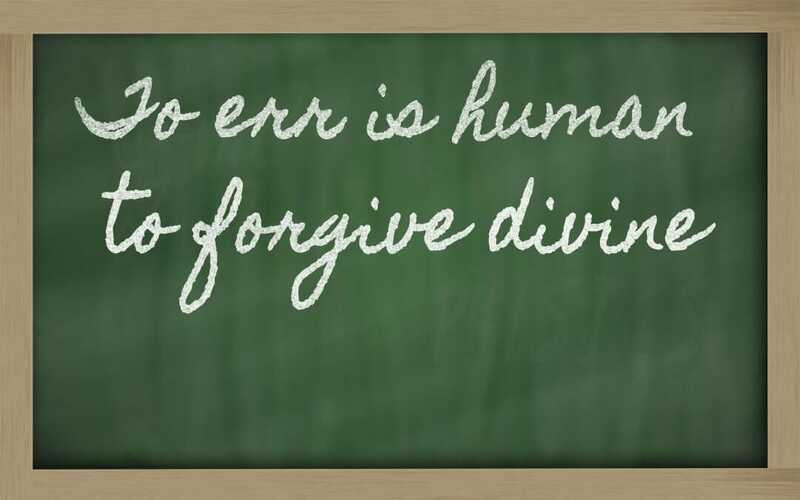 We have all heard the quote, “To err is human, to forgive divine.” It was first talked about in an Essay on Criticism by Alexander Pope in 1711. The term, To Err, Is Human, surfaced again in November 1999 when the U.S. Institute of Medicine wrote the report titled; To Err is Human: Building a Safer Health System. The report broke the silence that surrounded medical errors and their consequence–but stressed that pointing fingers at health care professionals who make honest mistakes is not the way to address the issue. The report emphasized that to solve the problem, we have to admit errors are made, work on ways to understand why they occurred and work as a team to design programs to correct the system. In 2019, 20 years later, a documentary produced by Mike Eisenberg, the son of one of the authors of the 1999 report was presented. To Err Is Human: A Patient Safety Documentary The documentary is an in-depth study of the silent epidemic of medical errors and highlight from those working quietly behind the scenes to fix it. The documentary focuses on the idea of a new culture of safety in medicine through the efforts of dedicated healthcare professionals who believe the system can improve by acknowledging its imperfections. The documentary brings the challenges the healthcare industry faces in 2019 and suggestions on how to overcome these challenges. The documentary is available for viewing by the public and healthcare professionals to raise awareness about patient safety and to spur a dialogue to discover ways we can work together to reduce medical errors and improve patient safety across the broad healthcare continuum. Last week, March 10-16th was designated as Patient Safety Awareness Week. In honor of this event, an organization I belong to, the South Florida Case Management Network, hosted a dinner meeting devoted to patient safety. Physicians, nurses, case managers, social workers, dental hygeists and patient advocates gathered to network, enjoy a nice dinner and view the documentary To Err is Human. After the video, we had a Q/A session, led by a physician who heads up a patient and safety department at a major medical center in our area. The discussion focused on what each was doing in their practice and organization to improve patient safety. The meeting was well attended; the discussion was heartfelt as many in attendance shared personal experiences they had with medical errors. It was a moving and eye-opening experience to listen to stories and see the emotion those stories produced. Today medical errors are recognized as the third leading cause of death behind heart disease and cancer. To change the status quo, we all need to work together. As a leader in the healthcare industry and a cancer survivor, I have been asked to participate in various projects to improve patient safety. Here are a few of them. Patient and Family Advisory Councils: I am a member of two Patient and Family Advisory Councils. One is with the hospital where I was treated for cancer, The Sylvester Comprehensive Cancer Center. As part of being a member to the PFAC, I sit on the Patient Safety Committee for the University of Miami Health System. The group focuses on medical errors throughout the healthcare care system. The second program I am involved in is the Patient and Family Advisory Council through the Health Services Advisory Group (HSAG). HSAG is a multi-state Quality Innovation Network-Quality Improvement Organization (QIN-QIO), External Quality Review Organization (EQRO), and End-Stage Renal Disease (ESRD) Network contractor. Both organizations are working on ways to improve patient safety. I am on the Board of PULSE Center for Patient Safety Education & Advocacy. PULSE CPSEA is a nonprofit 501 (c) 3 community-based organization dedicated to raising awareness about patient safety through advocacy, education, and support. They provide many community programs to educate people about what they can do to improve patient safety. Click here to visit their website. Campaign Zero is another organization that I follow closely. Karen Curtiss uses her personal experience to raise awareness and develop tools that family and friends can use when their loved ones enter the healthcare system. Visit the website here to learn more. 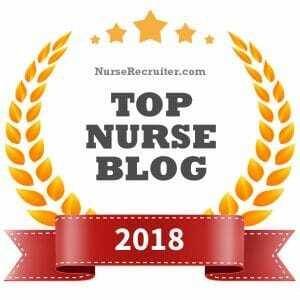 Nurse Advocate: Nurse Advocate is my website. The site to share information on my own cancer journey to help people better navigate the complex world of healthcare. The site also holds a page where my Blog posts are archived. 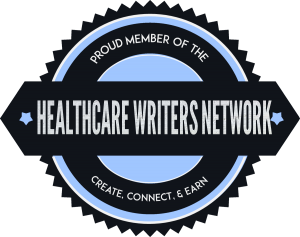 I started writing my Blog as I began to heal after treatment for a central nervous system brain tumor that was diagnosed in November 2014. As I recovered from treatment, I realized for the first time how challenging it is to be a patient and the importance of having an advocate when you enter the healthcare system. I realized that despite having excellent care that saved my life, there were issues that arose, that could have harmed me, if my husband, who was my advocate was not watching out for me. 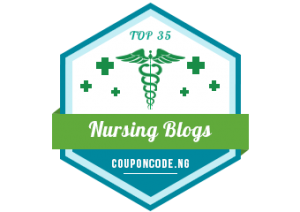 I would love for you to read my Blog posts as they provide information all can use when you or family member or friend are thrust into the healthcare system. Here is the link to the Blog page. If you want to receive my weekly Blog posts, you can sign up here at the bottom of this page. I dedicate Nurse Advocate to anyone who is a patient, a caregiver or a healthcare professional. I hope that by working together, we can improve patient safety. It is a fact that we will continue to Err as an industry as we are humans and humans make mistakes. As healthcare professionals, we need to know we can admit our mistakes and have a system in place that addresses them in a way that reduces harm to those impacted in a none punitive manner. Doing this, we create a culture of safety. Together we find ways to change the system so errors are reduced and patient harm is reduced. 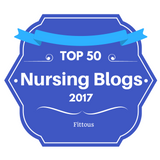 I urge each person reading this blog post, to do their part in helping to improve patient safety regardless of the setting you work. Remember together we can change the status quo! Please take a minute to share how you are taking steps to improve your safety as a patient. 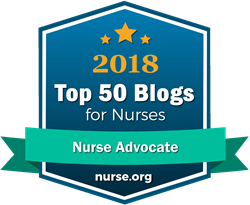 Thank you for reading Nurse Advocate. Feel free to share this link so others can learn! Have a good week! Great stuff, Anne. There are so many advantages to being or having an an advocate, that I also have realized over the past few years, navigating my own care, and being forced to fight for care, that was supposed to be supplied by MTF, but due to political climate, and other issues, these 3 years have been horrible, emotionally, and I would never have expected to ever be in this position, but realize what others go through in the DoD, VA healthcare system which continues to be one that needs advocates, CCM, and staff who can assist the wounded warriors, elderly, and other groups of patients who are forced to wait months sometimes years for care to be received. Amen Linda! This is what I learned as a patient, how hard it is to be a patient….I received good care and had a good outcome. But I knew it was because I had an advocate and help navigating the complex healthcare system. What an excellent summary, Anne. Confirmed what I find in advocating for so many of my confused and frightened clients. Can’t stress how much error is caused by poor communication – among individual healthcare staff as well as electronic communication within and among hospital systems. So glad I just found your blog. It will be on my regular reading list. Thanks, Maryellen! Hope you are doing well. Thanks for commenting! Thanks for this important post, Anne. Seems like open and honest dialogues about our imperfections will help. If leaders will listen and consumers understand, maybe we can slow down, ensure enough staff, and create cultures of safety.